The name Greenacres was given to this town thanks to a winning entry in a local naming contest. The lovely city was incorporated in 1926 and provides many attractions for families. While enjoying this city, should you have a dental emergency or experience tooth pain there are many Greenacres dental specialists available to help you. 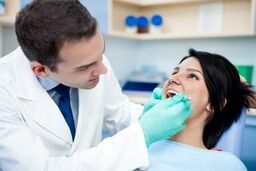 To find a qualified dentist in Greenacres, FL, turn to emergencydentistsusa.com. While on our website you can find a list of dentists and dental specialists in the local area to serve your needs. Simply go through the list and choose the dentist you would like to visit and call them. If you cannot view the list or if you are in a hurry, you can call our toll-free dentist finder hotline. Our team of operators are trained to listen to what you need and help you to located the dentist or specialist you require. We go through the local options and provide you with who is near you and what their available hours are. From there, all you have to do is let us know which dentist you would like to visit and we can schedule your appointment for you. It is best for you to arrive 15 minutes early to your appointment and bring your ID, insurance card, and required payment. There are many dentists available to you in Greenacres, FL. While you may be worried that the options are limited, this isn’t so. There are dentists and specialists from general dentists to oral surgeons available to you. Before trying to schedule with a specialist you may be required to consult with your general dentist first. If they feel you need to visit a specialist, you will be referred to one. Description: Reddy Dental is here to provide you with quality dentistry while keeping it affordable. Our office is friendly and comfortable. We strive to provide you with the best dentistry and work to remove any of the anxiety and stress often associated with going to the dentist. We welcome your call during regular business hours and after hours you can contact us through our answering service or email. Description: Big Smile Dentistry focuses on preventive care. We use the most advanced technology to detect problems. Our office wants to make all patients feel at home and provide them with our undivided attention. We specialize in everything from crowns, root canals, extractions, bridges, and more. If you would like to receive treatment where you are put first contact us today. Description: Budget Dental of Greenacres has a highly trained and experienced dentist. Here you will be provided with the highest quality dental care with state-of-the-art equipment and cutting edge technology. Our goal is to make your visit as free from pain and anxiety as possible. We accept cash, check, credit cards, and we offer financing. We accept all PPO insurance plans. Tooth or mouth pain that lasts longer than an hour needs to be treated before it can debilitate you further. Catching a problem at the first sign of a problem can prevent further complications. If the pain you are experiencing is due to an accident, you should first visit the ER to rule out any other serious injuries. Before booking a visit to a new dentist in Greenacres, take a minute to verify their credentials and licenses. You should do this by visiting the Florida Dental Association website and performing a search of the dentist’s name.